8 in 1 new Unique Health Application – A must have! 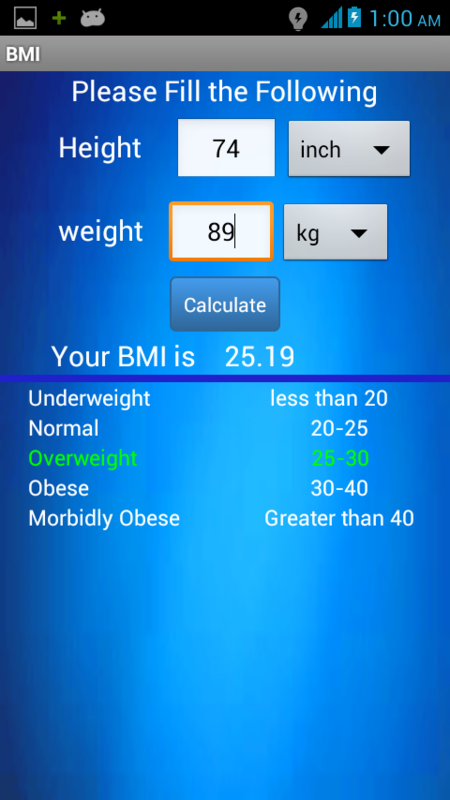 It calculates your: ● Body Fat ● Body Mass Index – BMI ● Body Mass Ratio – BMR ● Blood Pressure – BP ● Approximate Child’s Height ● Possible Blood Group of Your Child ● Ideal Weight ● Waist to Height Ratio -WTH “Blood pressure” is the force of blood pushing against the walls of the arteries as the heart pumps blood. If this pressure rises and stays high over time, it can damage the body in many ways. It is advisable to keep a track of BP levels throughout the day. Thus we have developed something that calculates your BP in a convenient way. Now you won’t have to carry a heavy equipment with you. All you need is this ever useful application. ●	Measure your Systolic and Diastolic Blood pressures quickly. ●	Small and easy to use application. 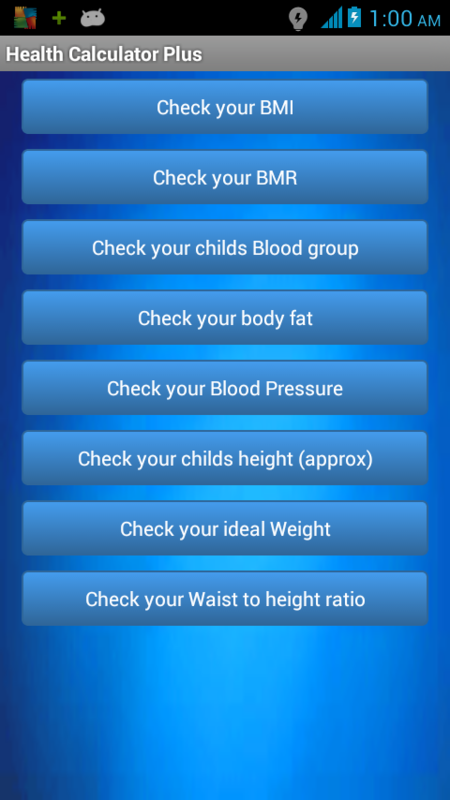 ●	Periodically check your blood pressure readings in the Application. ●	Symptoms and tips to help you keep your blood pressure in control. 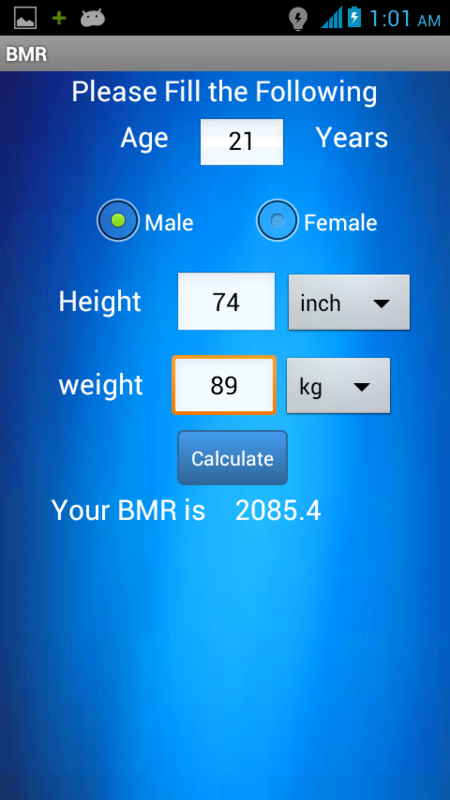 Keywords: Health, blood pressure calculator,blood pressure monitor, BMI, BMR Kindly rate us, your good rating will keep this research going on. Please provide us your valuable feedback to further improve this application.